People walk past an electronic board showing Japan's Nikkei average outside a brokerage at a business district in Tokyo, Japan August 9, 2017. SINGAPORE - Oil markets were cautious on Friday as traders monitored a tropical storm heading for the Gulf of Mexico and as China remained closed for a week-long public holiday. But the prospect of extended oil production cuts by the Organization of the Petroleum Exporting Countries (OPEC) and other producers led by Russia helped support prices. U.S. West Texas Intermediate (WTI) crude CLc1 was trading at $50.71 per barrel at 0141 GMT, down 8 cents from its last close. Brent crude LCOc1 was down 10 cents at $56.90 a barrel. Activity was subdued due to the Golden Week holiday in China and because traders were monitoring tropical storm Nate, which has triggered U.S. Gulf production and refinery closures just weeks after several hurricanes pummeled the region. Traders said they were closing positions ahead of the expected arrival of the storm as they did not want to be caught with open trades over the weekend. The Louisiana Offshore Oil Port (LOOP), one of the most important fuel handling facilities in the Gulf of Mexico, said on Friday that it had suspended vessel offloading operations. Storm Nate is currently off the coast of Nicaragua, heading into a region of the Gulf of Mexico populated by offshore oil platforms which pump more than 1.6 million barrels of crude per day (bpd), about 17 percent of U.S. output. BP and Chevron were shutting production at all Gulf platforms, while Royal Dutch Shell and Anadarko Petroleum suspended some Gulf activity. Exxon Mobil, Statoil and other producers have withdrawn personnel from their platforms. Phillips 66 on Thursday night was shutting its 247,000 bpd Alliance refinery in Louisiana. Despite this, crude markets were not far off closing levels from the previous day, when prices rose by around 2 percent on the prospect of an extended production cut deal lead by OPEC and Russia. King Salman of Saudi Arabia, OPEC’s de-facto leader, met with Russian President Vladimir Putin in Moscow on Thursday to discuss, among other things, oil policy. A deal to cut around 1.8 million bpd in production has been in place since January and is due to expire at the end of March 2018. With the prospect of extended cuts, analysts are starting to raise their crude price forecasts. “We have grown increasingly bullish in our outlook on Brent, revising up our 2018 annual average forecast to $57 per barrel and our longer-term outlook to $73 per barrel by 2022, from $55 per barrel and $70 per barrel previously,” BMI Research said. 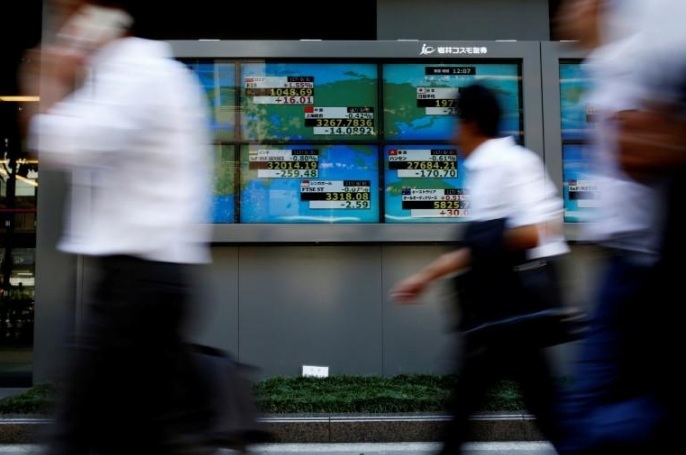 Oil markets were cautious on Friday as traders monitored a tropical storm heading for the Gulf of Mexico and as China remained closed for a week-long public holiday.